For 125 years, the John A. Roebling’s Sons Company manufactured wire and wire rope in Trenton. The Roebling Company was an important part of Trenton’s manufacturing economy, employing thousands of workers. The plant’s closing in the early 1970s dealt a great blow to Trenton and the surrounding region. The five Roebling buildings remained vacant for decades afterward. 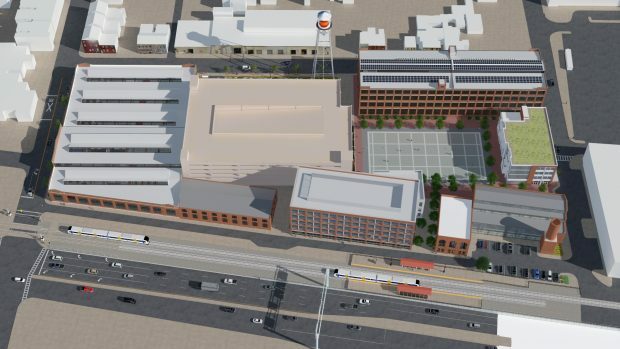 In 2011, after multiple attempts to find a private redeveloper, the Mercer County Improvement Authority accepted HHG Development’s proposal for the site. 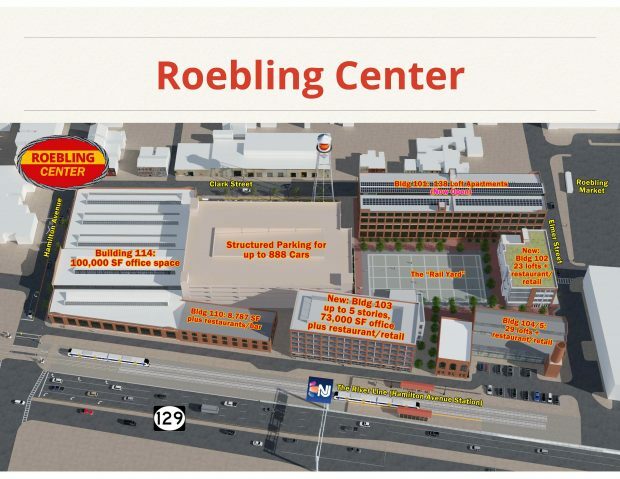 The company planned to repurpose the historic buildings into a mixed-use project called Roebling Center, which would include housing, retail space, offices, open space, and structured parking. 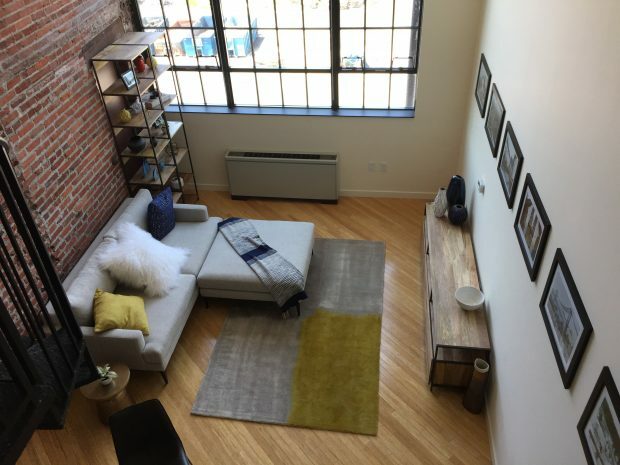 The first phase of this project, Roebling Lofts, is now complete. The rehabilitated building features 138 one- and two-bedroom apartments, of which 28 are affordable. It also has work and conference areas, a fitness center, and a lounge. On the fourth floor, a historic wire rope testing machine has been preserved as a testament to the building’s past. 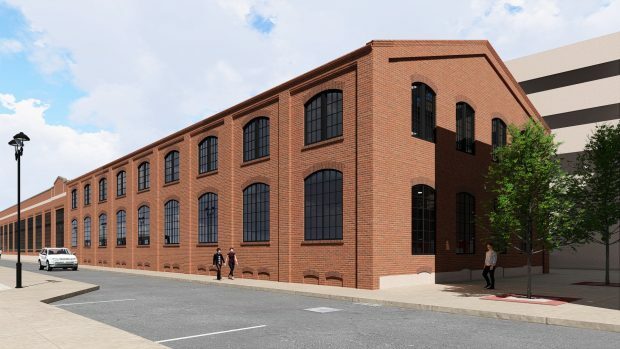 The remaining historic buildings will be converted into mixed-use spaces with apartment lofts, office space, and room for retail, amenities, and restaurants. The buildings’ exteriors and distinctive historic features, such as facades and windows, will be preserved. 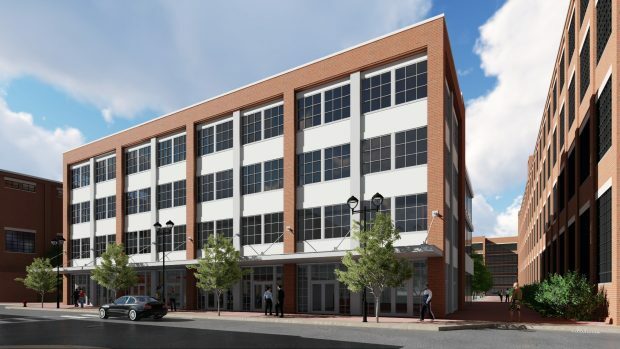 Additionally, the company plans to construct three new buildings, which will contribute more mixed-use space and a structured parking garage. 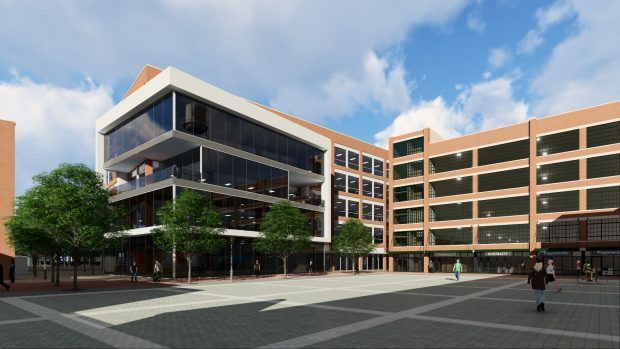 Ultimately, the property will include 192 apartments, of which 39 will be affordable; 175,000 square feet of commercial office space; 40,000 square feet of restaurant, amenity, and retail space; more than 900 parking spaces, and the public plaza. 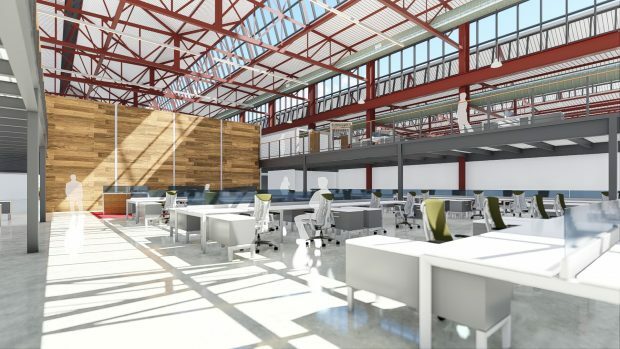 The office spaces are projected to bring in up to 900 new jobs. 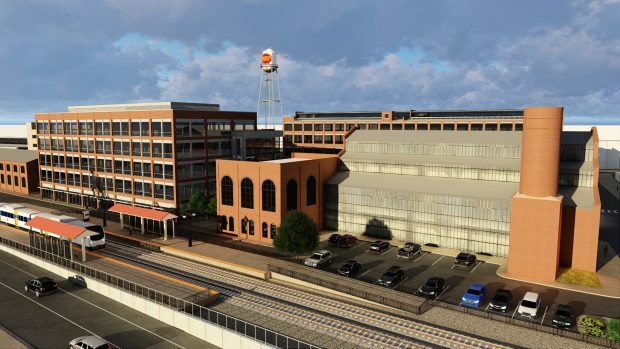 All eight buildings will cluster around a central open area called the Railyard. This area will act as a public plaza, providing gathering space for residents, office workers and retail customers. The project’s planners and developers intend to use the space for programming performance, art, and entertainment events. Within walking distance of two transit stations, Roebling Lofts exemplifies transit-oriented development. The apartments are located right next to Hamilton Avenue River Line light rail station. The Trenton Transit Center is just half a mile away. Downtown Trenton is within walking distance, as are other amenities, including restaurants, banks, and shops. 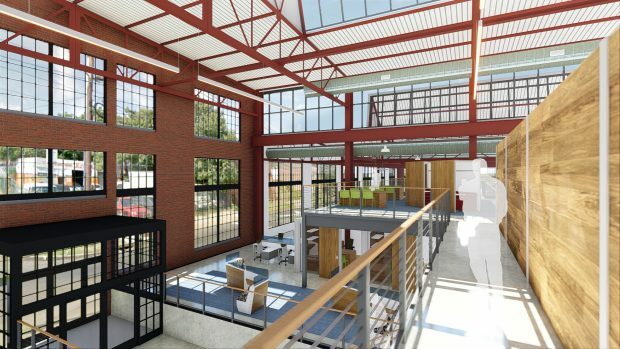 The Roebling Lofts and the other buildings in Roebling Center will incorporate several sustainable features. To help infiltrate stormwater and reduce runoff, the property will use green roofs, pervious paving, and planted landscape beds. 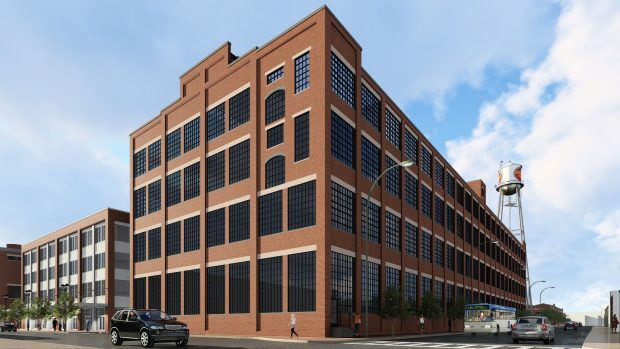 For Roebling Lofts, the project planners consulted with the New Jersey Historic Preservation office to meet historic preservation standards while ensuring energy efficiency. Solar panels on the roof of Roebling Lofts will provide a renewable energy source. The project planners are also making use of high-efficiency mechanical equipment and appliances, materials with recycled content and low volatile organic compound content, and energy-efficient LED lighting. Bike racks and car charging stations will encourage residents to reduce their carbon footprint. 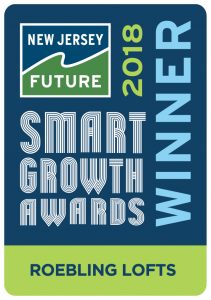 Despite the financial challenges posed by the Great Recession, HHG Development succeeded in gaining initial funding from the New Jersey Economic Development Authority’s Economic Opportunity Act of 2013. Due to its status as a historic site for New Jersey and on the National Register of Historic Places, the project benefited from Federal Historic Tax Credits. Fulton Bank and the Bank of Princeton also helped make financing possible. Roebling Lofts welcomed its first residents in 2017. 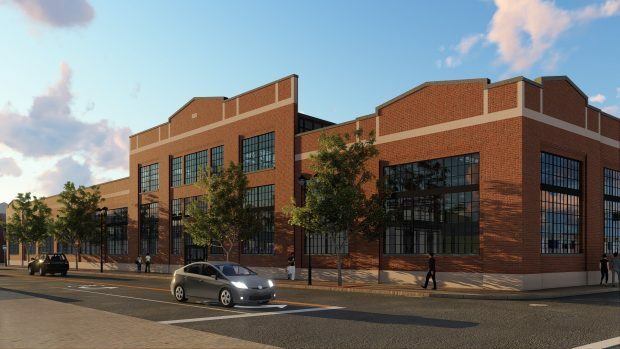 When the project is fully realized, the project planners and developers will have succeeded in creating a thriving downtown community in the heart of Trenton.